« Day 586 OUT OF Beijing: Big Bad Benecio. Day 587 OUT OF Beijing: Beauty is in the eye of the Beholder. 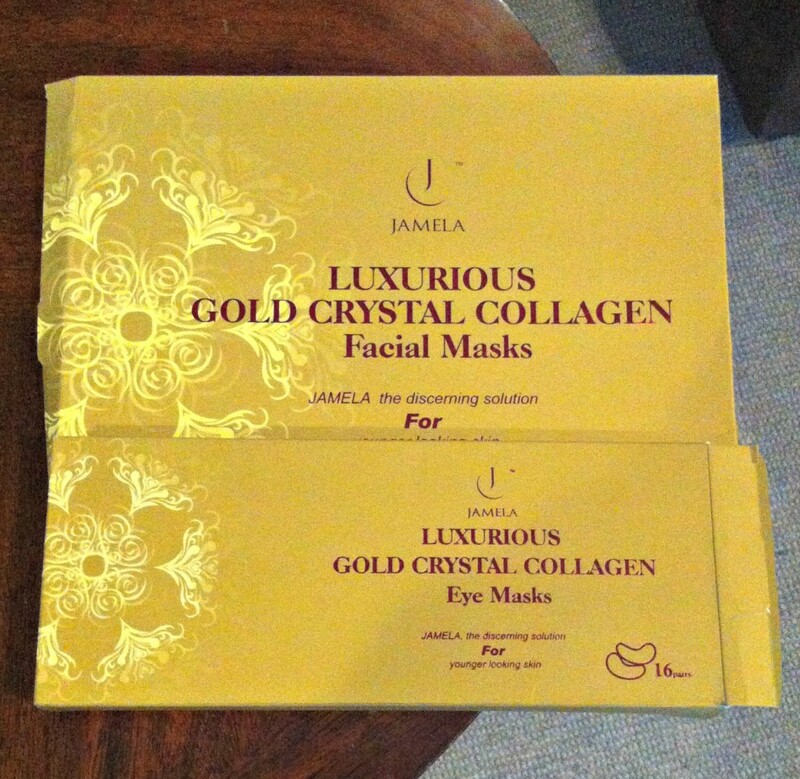 The two sets of Jamela eye and face masks. A bunch of our friends were very sweet and gave Jill and me wonderful presents as we left Beijing. 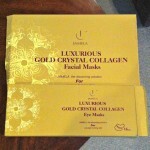 Our dear friend, Kean, gave us a gift of Jamela face and eye masks. We haven’t been able to use them, yet, because we’ve been so busy running around and wanted to wait until we were more settled down. We decided we’d start with the eye masks and see how it worked on our faces. Jill has a lot of skin sensitivities so we wanted to be careful and wait on the full face mask to see how it went this time. 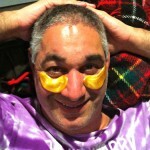 The eye masks are full of all kinds of wonderful natural ingredients and also have 24k gold in them. When we put them on, we immediately noticed how cool and calming the eye masks were on our faces. The recommended time is from a minimum of 30 minutes to a maximum of 5 hours. We choose to wear ours for about 2-3 hours and it really did seem to make a difference. Jill and I still feel as if we are having some trouble adjusting to life here in the USA and we are trying to sleep a lot, while exercising, to help out with the readjustment. 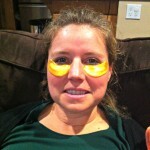 Using the eye masks allowed us to hang out, relax, and just stay calm while watching a little tv during the night. Jill said she definitely felt better after using them and I also did. We will continue to use them and then try the full face masks in a few weeks. 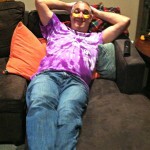 Kicking back and relaxing while I get younger. Ah, gold makes everything better!